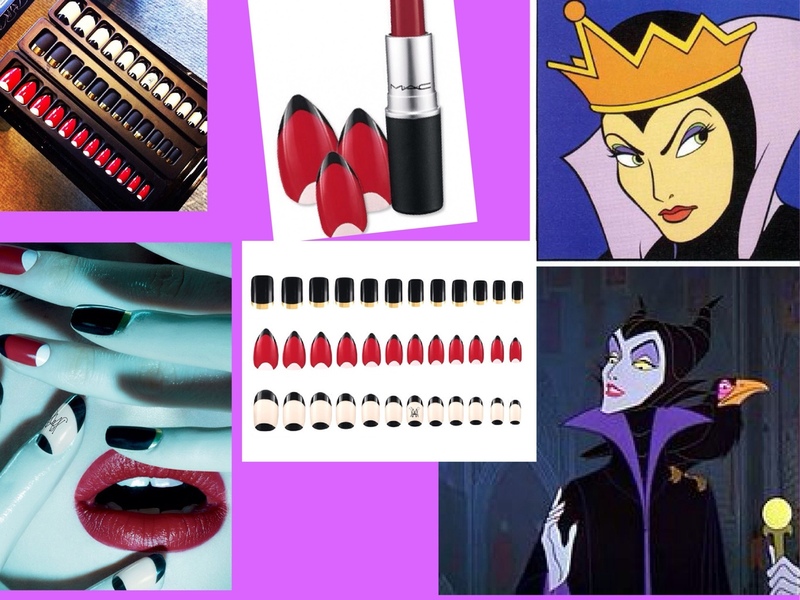 What honestly started out as a smile, wink or nod if you will to the upcoming Ruffian and M.A.C collaboration (featuring some incredible press on nail tips) some how organically evolved into nails resembling some mash up between the daringly wicked character Maleficent from Disney Sleeping Beauty and the Evil Queen from Snow White. 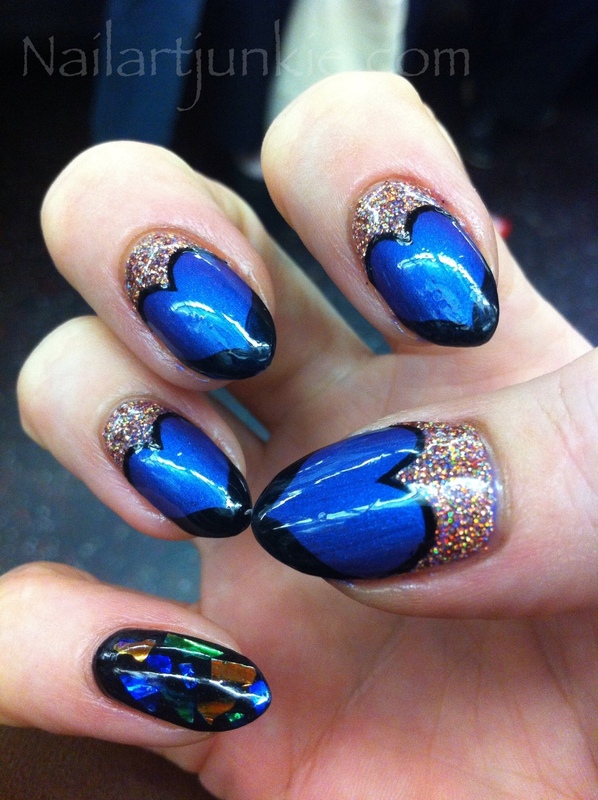 After filling and reshaping my nails into sharp pointed claws the painting began. 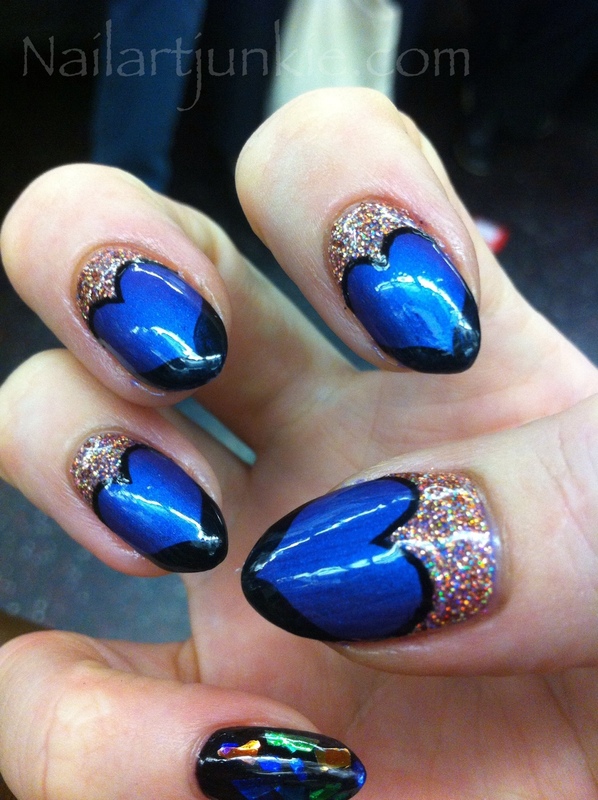 Ran and I decided on a fill on top of my Beth Ditto nails – which required three coats of color in order to conceal the past design. 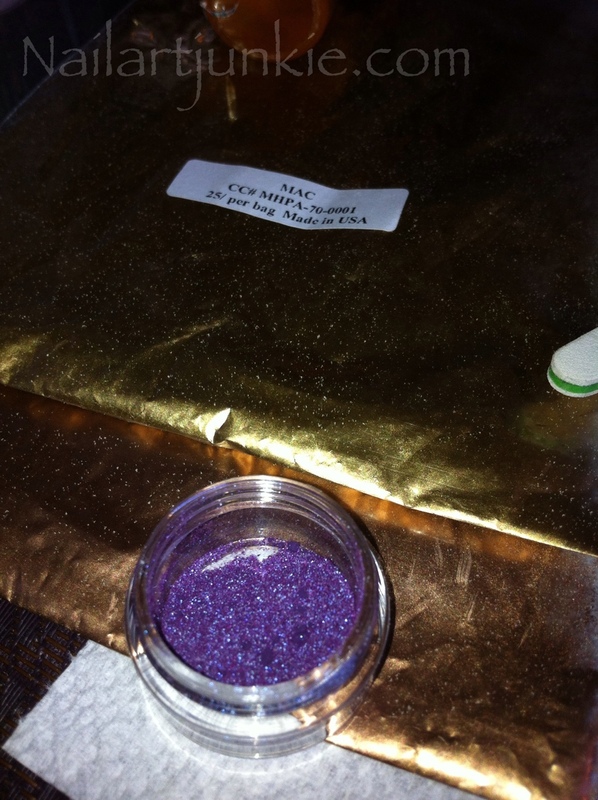 Purple Hearts – to create the gorgeous iridescent purple I mixed M.A.C Grape Pigment, Pink Pearl Pigment & Frozen White Pigment together which Ran mixed with clear cal gel. 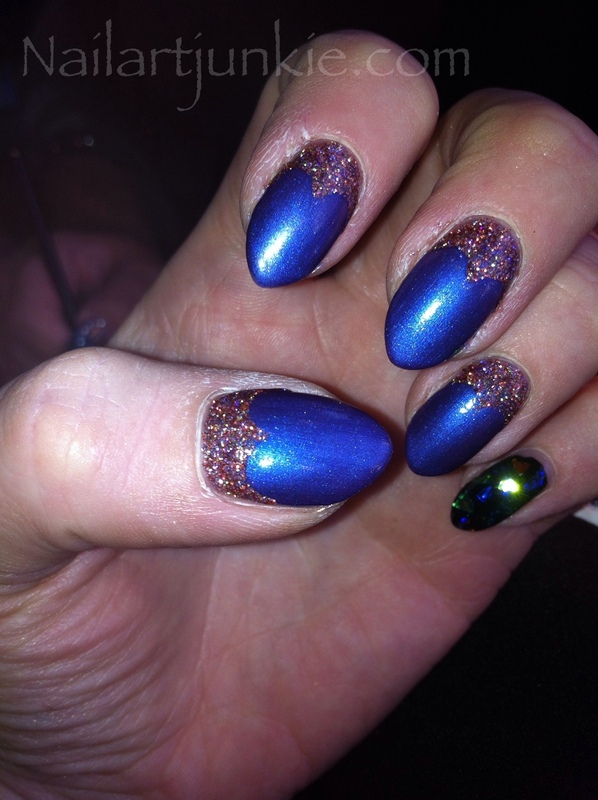 Glittered Crescents – Good ole M.A.C 3D Copper Glitter mixed with clear cal gel. 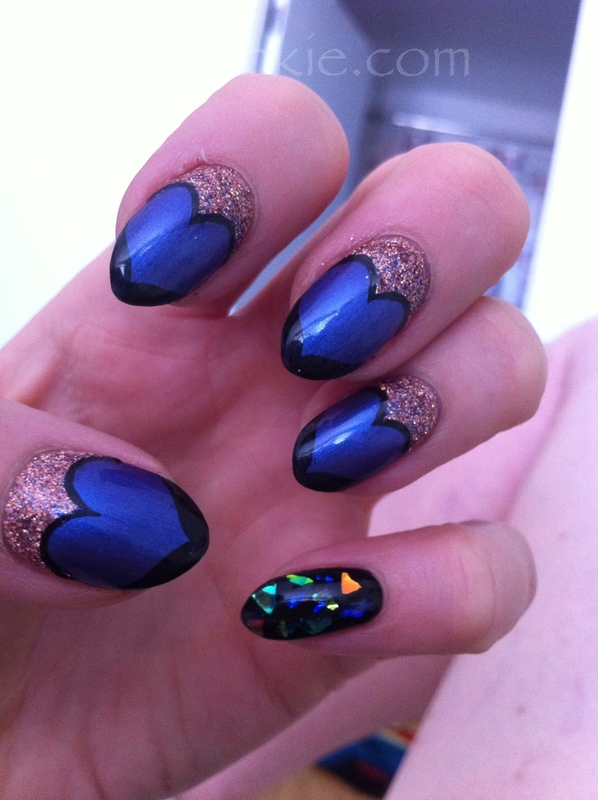 Black Heart Outline – Frankly I am obsession with the trend of outlining the nail in black so to add a 20s/30s twist Ran painted a heart shaped out line using M.A.C Pigment in Black Black with clear cal gel. 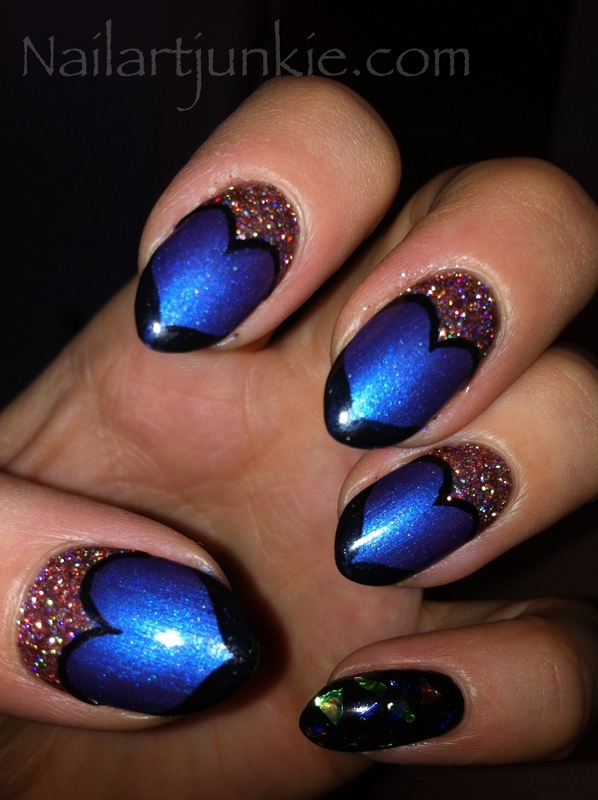 This entry was posted in Nail Art and tagged 50 shades of grey, black outline, dagger nails, glitter, Hearts, mac cosmetics, maleficent, pigments, ruffian by Keri Blair. Bookmark the permalink.